Ultrasound- Ultrasound can be an excellent addition to your care, for treatment of many forms of acute injury and swelling. It also works well for chronic conditions when the soft tissues are tense and swollen. 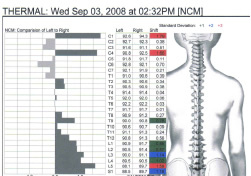 Spinal Screening (EMG and Thermography)- In addition to a complete history and physical examination, we utilize specific state of the art technology. This is an essential part of determining your problem and level of health. 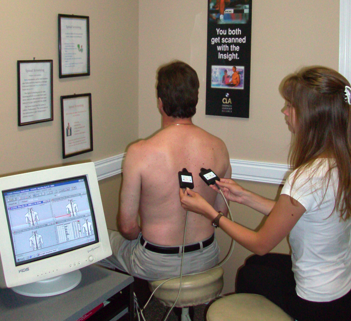 These screenings are repeated at regular intervals throughout your course of care. This aids us in detecting the level of progress made to date. X-Rays- If X-Rays are required, patients are referred directly to Belleville X-Ray and Ultrasound. Usually films are taken the same day with no need for a M.D’s referral.